The spirit of Swindon is alive and well - exactly a quarter of a century after the end of the town's railway era. 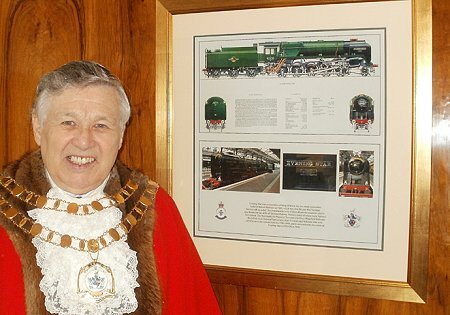 So says Rex Barnett, the Mayor of Swindon and the last in a long line of mayors to have served a railway apprenticeship, stretching all the way back to George Jackson Churchward, the first one, in 1900. 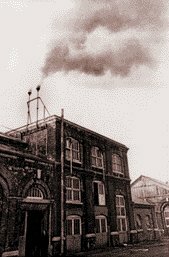 The Swindon Works hooter blew for the last time at 4.30pm on March 26, 1986 - a day that went down in the town's history as Black Wednesday. Rex was all too aware that as well as skilled jobs and reliable employment, Swindon also seemed set to lose its character when the hooter fell silent. "The thing about working in the factory was everybody knew everybody else, even if they didn't know everybody's name," Rex told us. "There was a community spirit there and a great pride of being 'inside', which came from generations of family traditions. "I followed my father in there and it was like being part of a big family. People handed down skills and worked for each other." Not all of it was above board. If you needed a job doing, it was certain that somebody in the factory could and would help you do it - and in the firm's time, if necessary. As an young apprentice, one of Rex's unofficial jobs was to collect the brass checks from other workers at the end of the shift and hand them in, so that they could all sneak out a few moments early. "In those days, nearly everybody went home for dinner, and one day I got back and everybody was asking what happened to the checks as they had all been marked 'MT' for missing ticket. "Then I realised I'd gone home with all of them in my pocket!" He had forgotten because he had been chatting to somebody on his way home - most probably Sandra, a fellow railway worker who became his wife, more than 50 years ago, and is now the mayoress. It may have been against the rules, but it was typical of the community spirit of the place. And life after the railways is not so different in Swindon, says Rex. 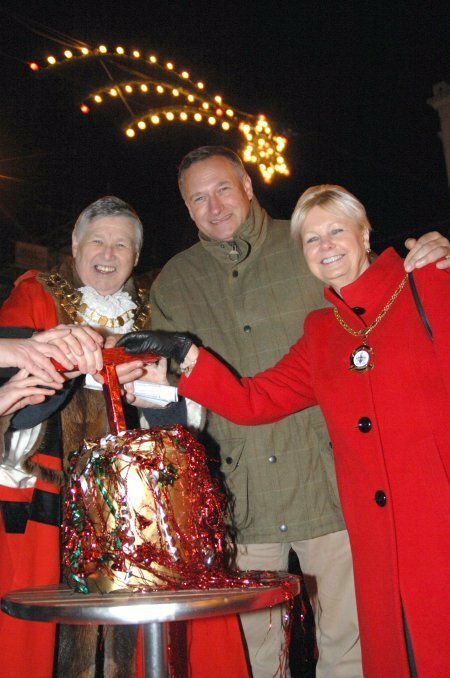 "There are so many people doing great things, which is why we've loved every minute of our year as mayor and mayoress. "We'd gladly do another year if we could. I can honestly say that everything we've been to has been brilliant." Rex was an apprentice gas, plumbing and heating engineer, but his employment with British Railways was relatively short. Indeed, he was one of the first to be made redundant following the Beeching cuts of the 1960s which heralded the long decline of the railways in general and Swindon Works in particular. He took his 19 shillings (95p) redundancy and his skills and got work on the building of the old Princess Margaret Hospital and The Parade. He also had a spell selling ladies underwear with a party plan firm, and for a while found himself regularly back in the Works as a rep for dry cleaning firm Sketchley, who had a contract to clean BR overalls. It reconnected him with memories of the railways that stretched back into his boyhood. His father was head of the general stores - an important job which once caused the family to miss out on the annual trip week holiday to Devon as his father had to stay behind to work. "Families usually went to the same place every year and even the same accommodation - we always went to 22A Dawlish Road, Teignmouth - and when you got there you would be surrounded by other Swindon families who were on trip. "So even when you were on holiday, you were with your workmates." When the axe finally fell on Black Wednesday, 25 years ago, the tears that many grown men cried were tinged with bitterness that a complex that had once employed 14,000 people and which many still thought had much to offer, was, as one worker put it, the victim of 'a wrecking crew'. But is there still a legacy from the railway era? In terms of employment and even industry - considering the local success of Nationwide, Honda and BMW, among others - the town has fared much better than expected in the intervening years. And the community spirit that was a feature of life 'inside' is also much stronger than some would have us believe. "If those who like to moan about Swindon could spend a week with us, they would all change their tune," added Rex. "Being mayor has been a real eye-opener. During the last year we have found there is a great community spirit right across the town. "It's full of great people and great kids doing great stuff, which shows just how community-minded it is - almost like it was in the Works. "There is always somebody who can help you." But whereas most of that used to be contained behind one big perimeter wall, now it lacks focus. "Swindon is so alive with people doing good things and volunteering. The only difference is they are harder to find. "They are out there, but people tend to move in their own smaller circles, so they don't always join up together or get the publicity they deserve. "I'd like to get them all together so they can all meet up and show the rest of the town how strong our community really is." Well, many of us haven't. Or simply can't remember its distinctive sound. And some would even prefer to never hear it again! 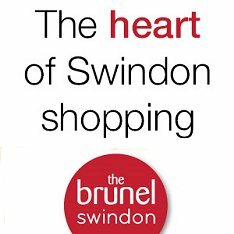 But if you would like to hear it or just reminisce, the sound is available on the Swindon Heritage Town Trail website, link below, a site SwindonWeb originally developed.